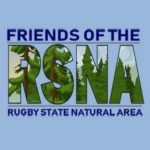 Every third Saturday of the month, the Friends of the Rugby State Natural area host a guided hike. These moderate hikes range from 1.5 to 3 miles long. Wear sturdy shoes, bring water and snacks, and watch the weather. RSNA boasts beautiful slopes and loops underneath towering umbrella magnolia and hemlock. As May leads into June, the sun will warm our backs and the greenery of mosses and ferns will carpet the mountain. We meet at 10:00 AM in front of the Historic Rugby Visitor Centre. Check out our Trail System! Find out what’s next door!